Got the spring farm auction fever? 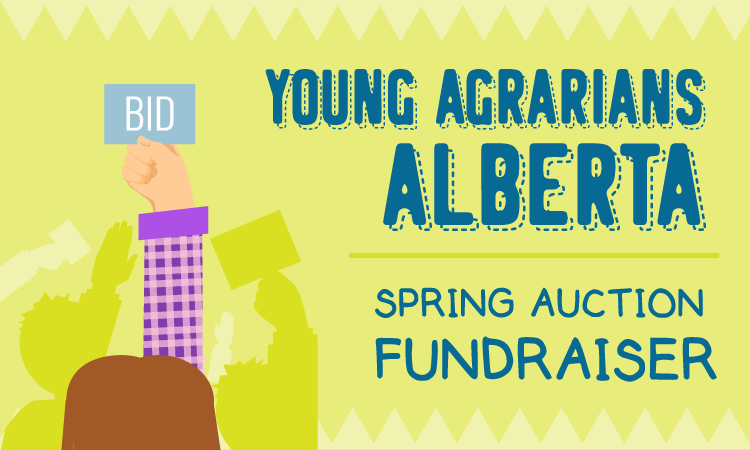 Get your fix and support Young Agrarians Alberta through our 1st ever online auction fundraiser! Agrarians across Alberta are offering up their skills and experiences to put up for bid. The result? An auction lot where you just won’t be able to keep your hands in your pockets. You might just find that very farming skill or activity that you’ve been dreaming about for many seasons! Just wave your digital bidding card! If you always wanted to learn about driving horses, butchering a beef, raising bees or, any number of agrarian farming skills, then this is your chance. Not only will this auction educate and connect our Albertan farming communities, the money raised will support Young Agrarians, a program of Organic Alberta, to keep our work going! You will not even have to leave your farm in these busy spring days to attend this auction; just go online and bid by clicking on your favourite item or items, and hopefully you will be the lucky person who gets to spend a day with some of our coolest farmers across the province. Put Your Seedy Saturday on the Map!